Yay for being back on the Creative Crew! This sample is for both the color focus and the catalog focus challenges. What you might not be able to see: The larger Window Frame framelit is embossed with the Square Lattice folder. 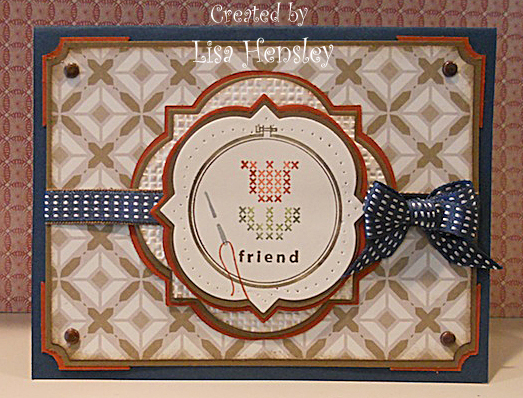 The smaller Window Frame layer is outlined with the coordinating paper-piercing pattern from the Festive Paper-Piercing pack.